Asia Lifestyle Week was presented by Thomsen and showcased a three-day lifestyle extravaganza in Delhi on March 16-17-18, 2019 at DLF Place Saket, New Delhi. Glitz, glamour and razzmatazz. It was all about high fashion and up style sensibilities. Recently Bruna Abdullah, famous for Grand Masti, Bollywood movie, looked stunning as she flaunted the gorgeous ensemble of Amaavi by Khushbu Davary at Asia Lifestyle Week. Raising the mercury level of the capital city, the event was all about haute couture. It was an interesting gig where the singer Zubin sang and the stunning beauty Bruna Abdullah walked the ramp. It was 1st time live singing and fashion was seen together on the runway. Asia Lifestyle Week was presented by Thomsen and showcased a three-day lifestyle extravaganza in Delhi on March 16-17-18, 2019 at DLF Place Saket, New Delhi. While the first two days displayed exhibition the last day witnessed gala fashion show. With the theme of Fashion, Culture and Lifestyle the event was a one stop platform for all your sensibilities. The designers showcased different hues and shades of spring. They promoted varieties of culture and tradition of Asia. Amaavi by Khushbu Davaray showcased journey from darkness to light. The collection of Singapore fame Evanna by Vandana Talwar was all about free spirit. It featured lightweight silhouettes in satin, silk satin, georgette, chiffon and fine silks that are perfect for a summer wardrobe. Kiki Diva by Mayura displayed only combed and organic yarn. Tina Ranka showed bright colours beautiful embroidery, stones and drapes that make outfits more classy and wearable. Adi by Aditya Khandelwl was an amalgamation of creative bursts of innovation and design to assemble a niche high end collection appealing to the masses that are on the lookout for style statement masterpieces. Rosy Ahluwalia showcased on the theme of sufi and displaying ensemble in white. Ashfaque Ahmad showcased at the Grand Finale section displaying high end couture with perfect hand work and embroidery. Asia Lifestyle Week is a new generation Fashion and Lifestyle event, conceived and conceptualised to showcase the opulent and inspired rich Asian culture. It aims to align the aesthetically perfect regional fashion and lifestyle scenario with the global trends to ensure greater outreach to designers and brands. The event is organised by Asia Lifestyle Week, Celebshine India and Stratton Leo Communication. Also, Thomsen Germany will be showcasing the entire range of their products: pillows and mattress at the exhibition. Talking about the display, Yashwant Pratap Singh, Country Head (India), Thomsen, said, "For the first time we exhibited the entire range of Thomsen products in India. This was a great opportunity to meet and greet our prospective dealers and buyers. This was a great platform for cross vertical promotion as well." Speaking about the event, Gargi Sharma of Celebshine, said, "We have introduced the season of fashion and glamour with Asia Lifestyle Week. 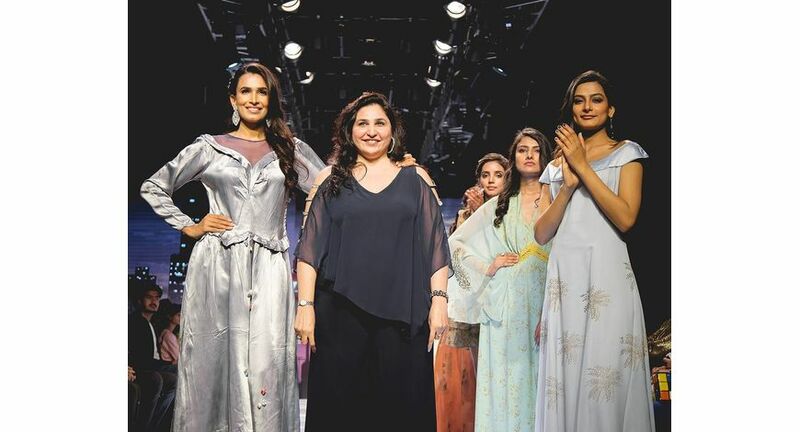 While the exhibition exhibited the best of latest trends in the lifestyle industry, different designers showcased their latest collection on the ramp."